Crafting is an important aspect of Animal Crossing: Pocket Camp, as it helps you get animals to come to your campsite. However, it's also one of the best ways to get ahead in the game, and there are a number of reasons for this. Crafting serves as a necessary step in getting your animal friends to come stay at your campsite. 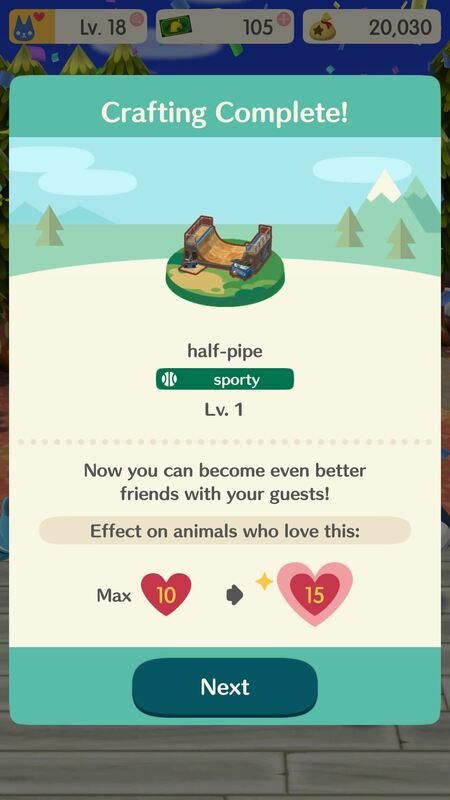 This, in turn, serves as a stepping stone towards increasing your Friendship Levels with your pals and helping you make your campsite truly yours. So if you're like me and you've recently become addicted to Animal Crossing: Pocket Camp, this guide should be considered required reading. To begin with, you're only able to craft one item at a time. This is fine when items take a minute or two to craft, but eventually they'll take hours and even days. However, you're able to add additional crafting slots by paying 80 Leaf Tickets per slot. While Leaf Tickets are associated with the "pay to play," facet of the game, Animal Crossing: Pocket Camp isn't stingy about giving them away early and often. If you're interested in earning more Leaf Tickets, our guide on building up supplies in Pocket Camp would be a good place to start. The first additional crafting slot is the most impactful, but I also found the need for a third slot down the line. 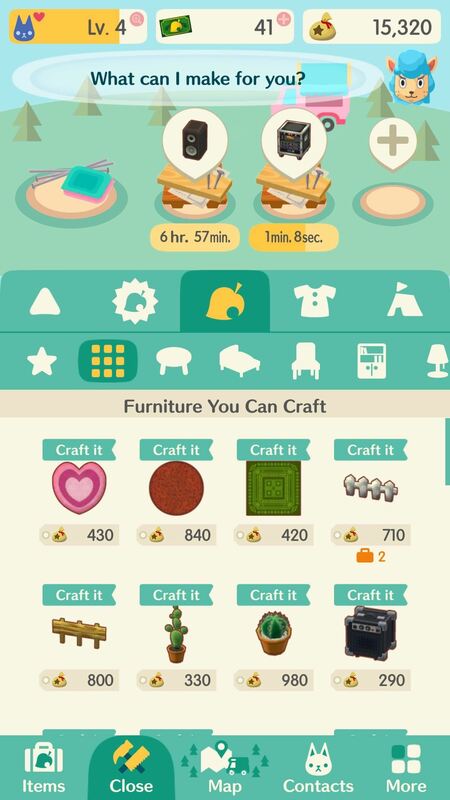 To expand the number of items you can craft at once, tap the plus icon that hovers above the work bench on the crafting screen. From here, you'll be prompted to spend 80 Leaf Tickets to create the workspace. After you do this, you'll be able to craft multiple items simultaneously. 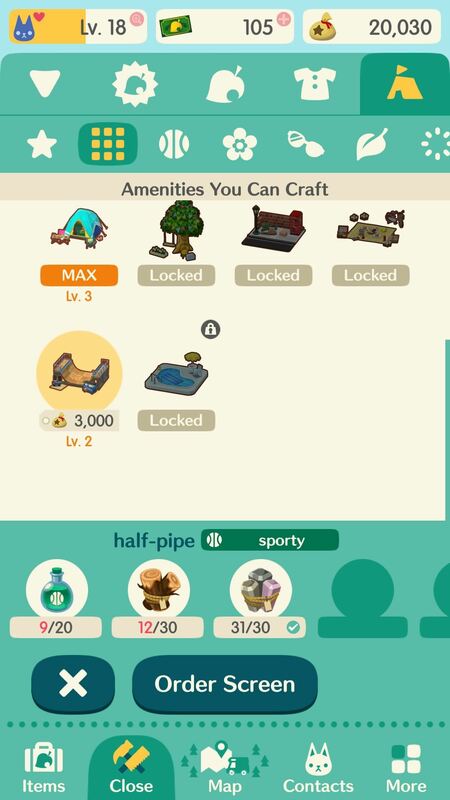 Amenities are basically fancy tents that you can craft. Crafting an amenity will increase the Friendship Level of everyone at your campsite, boost the maximum friendship level that you can attain with everyone at your campsite, and they look super rad. They start out as pimped out tents and can end up as cool items like half-pipes or pools. To craft one, go to the crafting menu, then tap on the icon on the right side that looks like a tent. The amenities that you are able to craft are displayed here. If any amenities are "locked," you need to max out a previous amenity with the same identity (cute, cool, natural, sporty). 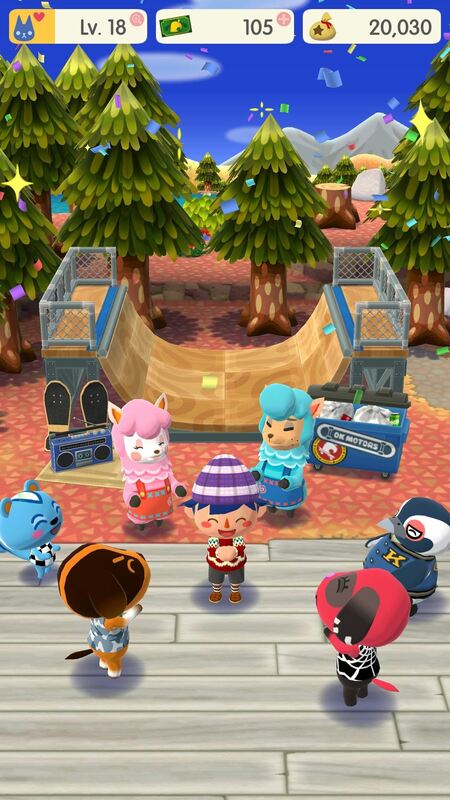 For example, to build a half-pipe, you need to max out the basic "sporty" amenity. Each amenity can be leveled up multiple times, depending on the amenity. Once you select an amenity, you'll be shown what crafting materials are needed to complete it. They all require a pretty steep investment of Bells, materials, and essences (i.e., a sporty tent requires "sporty essence"). If you have enough crafting materials, go to the "Order Screen" (just like when crafting furniture) and place your order. Note: Amenities take a lot of time to build (days, even), so try to craft them as soon as you have the materials. 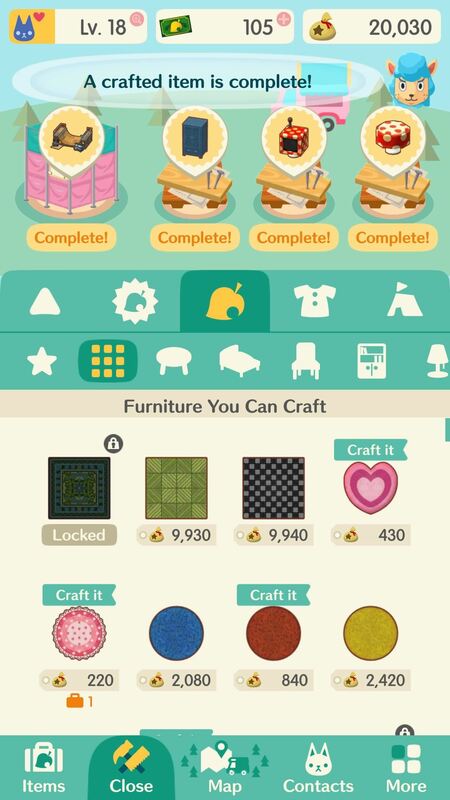 Crafting furniture for friends was touched on in this guide, but Animal Crossing: Pocket Camp also allows you to craft furniture at your leisure. In a word: don't. Crafting furniture eats up both time and resources, and you'd be foolish to spend them on furniture simply for fun. It might sound odd, telling you to avoid having fun in your video game, but you'll have to craft plenty of cool stuff for your friends along the way, so just be patient. Your campsite will be great regardless. Have you been having a blast crafting items for your friends? Are you planning on getting all your (real) friends to play with you? Let us know in the comments below! All of my guests are sayingtheyre hungry. How can i feed them or craft food, or just make them happier?